During the Megamarch of Embroidered Shirts in Odesa, 20 May 2017. Today Israel is often mentioned as a country that can serve as a role model for Ukraine. It is surrounded by enemies, yet it is capable (at least for now) of ensuring a democratic system. Despite the state of permanent war, Israel’s GNP per capita is over 40,000 dollars, thanks to its innovative economy, relatively small population, and the possibility to influence large international organizations and the decision-making process of leading countries. My connection with Israel is linked to the beginning of the leadership academy movement in Ukraine. In late 2014 I had the occasion to provide consultations on questions of Ukraine’s information policy to the head of the Presidential Administration Borys Lozhkin, who invited Erez Eshel, one of the leaders of informal education in Israel, to Ukraine. From this first encounter it was understood that leadership academies are precisely what is needed to create a galaxy of young leaders to serve in all sectors of our country, including the army. Leadership academies in Israel offer ten-month-long programs aimed at strengthening identity and nurturing responsibility and selfless service to the fatherland among young people aged 18 or 19. They have already begun to develop in Ukraine. While researching the experience of the Israeli Leadership Academy, I got to know this country more deeply. When the time came to transform my own business through travel, Scouting, and meeting with representatives of business, the army, as well as civic activists and activists in Israel, we successfully developed into a significantly larger business. Now we help our clients learn from people who know how to believe in achieving the impossible. The first lesson is the history of Zionism, in which there are many parallels with Ukrainian patriotism. The Israeli professor and intellectual Einat Wilf, writing in her collection of essays Telling Our Story, defines Zionism as the great history of a people who were inspired to attain feats and sacrifices. This is a story that teaches us that even in holding the status of victim, one should not perceive tragedy as fate. Even if a community has experienced marginalization, discrimination, repression, or even genocide, like the Jews did during the Holocaust and the Ukrainians in Ukraine did during the Holodomor, the Ukrainian community can become successful. Zionism is about striving to go beyond the framework of the “place” to which you are assigned by others. Naturally, war will continue as long as countries like Russia exist, which believes that Ukrainians are supposed to know their place in the “Russian world,” that they do not have the right to self-determination, and that Ukraine is a temporary project. Russia has so actively promoted its version of reality on the international level that, notwithstanding four years of war, not a single country still views Ukraine as a country within Russia’s sphere of influence. The lessons of Zionism and the rise of the influential State of Israel teach that a nation can go from being an object of persecution to a subject of government, and can influence its own future, without waiting for its fate to be decided by players on the international political chessboard. At present, the finest example of the capacity to learn this lesson was the Revolution of Dignity, during which negotiations conducted by other countries with the former head of state were unable to halt the energy of changes that millions of Ukrainian people carried within themselves. Perhaps the biggest consequence of this history is taking the initiative into one’s own hands, forming one’s own “place,” and becoming self-sufficient. Israel’s second important lesson is the years-long work of strengthening the nation’s character and core. In leadership academies and in conversations with leaders, you often hear thoughts along the lines of, “we are pondering what it means to be a Jew today.” How often do Ukrainians ponder this? What is our mission for the country, society, or the world? People in Israel have understood that perseverance in the face of the country’s challenges can be developed only by taking care of the weakest link in society. That is why Israel has hundreds of thousands of civic organizations with differing missions, but if you unite them all, it is a pillow of support for any stratum of the population “for a rainy day.” In Ukraine, we think that we have a strong civic society today. At the same time, its exhaustion and concentration in individual geographic clusters or focus on individual topics, without a presence covering the entire country, attest that we are a long way away from Israel’s dynamics of development and stability of organizations. Ukraine has to learn how to play on an equal level with others and put forward its own point of view consistently and systematically, like Israel does. For example, a significantly larger number of people in the world should know that in Ukraine in 2017 there was no violence against Jewish temples and that this is a markedly healthier situation than in any other European country. This will prevent Russia and the none too progressive forces in Israel from speculating on questions of anti-Semitism or discrediting Ukrainian patriotism. Israelis have a very clear-cut point of view on any question pertaining to their own interests, and they do everything in order to be heard. They always have someone to “broadcast to.” An individual who will be representing Israel’s point of view will speak excellent English, have a high-profile education in the question at issue, and will have training in communicating in a stressful format. Israelis do not wait to react later; as a rule, they act in advance. In the Israeli Congress Committee, which is an analogue of the Ukrainian World Congress, work rapid-reaction groups that in real time monitor and defend the information space pertaining to Israel in twenty languages. This is possible only when diaspora communities in various countries are closely connected with each other and coordinate their activities with the “center.” An important component of success here is the treatment of all of one’s own people as equal patriots. In Ukraine, unfortunately, you often hear the rhetoric that patriots are only those who have not left [the country]. The patriotism and effectiveness of people for a country are not measured by where a person lives, but by the kind of personal trace s/he leaves in history and how much s/he influences the future of the fatherland. Israel treats each of its citizens as an ambassador of his/her country. Ukrainians abroad can become a powerful Ukrainian public army, as soon as Ukraine learns how to mobilize them. Israel knows how to analyze mistakes. Right now, Ukraine lacks reflection. As [veteran Likud Party leader—Trans.] Dan Meridor has noted, the history of Zionism sounds brilliant, but it must be balanced. Zionism was supposed to have saved the European Jews from extermination before the Second World War, but the state was formed too late, a few years after the Holocaust. “We trod a path from powerlessness in many spheres to leadership in many spheres, and this was a big lesson for us,” he noted. Ukrainians must realize that we have no right to lose. This is what allowed the Israelis to form a society out of Jews and representatives of other cultures, which values the existence of the State of Israel. 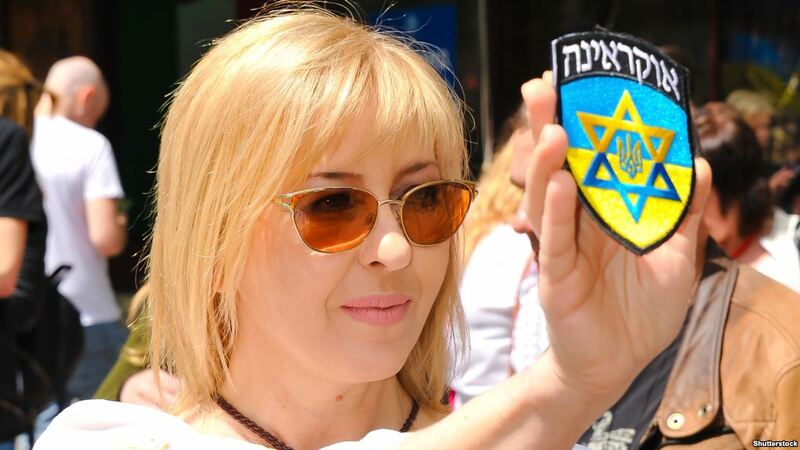 As Golda Meir often said, “Zionism and pessimism are mutually exclusive things.” So, Ukrainian patriotism, determination, and optimism should become the glue that will overcome all the challenges of state building in Ukraine. 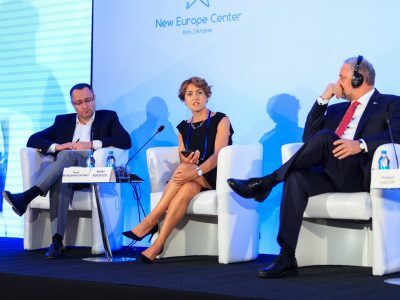 Nataliya Popovych, president of the One Philosophy Group of Companies, is co-founder and member of the board of the Ukrainian Crisis Media Center. The views expressed in the “Point of View” column are those of the authors and do not necessarily reflect the positions of Radio Liberty. 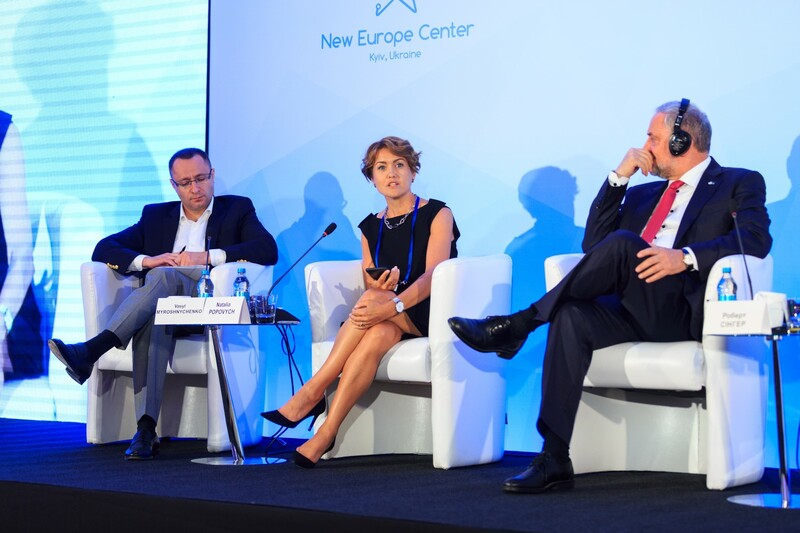 Nataliya Popovych is an international expert in communications and civic activist, co-founder of the Ukrainian Crisis Media Center (UKMTs), and the founder of the One Philosophy Group of Companies. She is also a member of the Senate of the Ukrainian Catholic University and one of the founders of the Ukrainian Leadership Academy. She has worked for over twenty years, providing consulting services to organizations on questions pertaining to reputation management strategy, brand development, management coaching, crisis management, and strategic communications in Ukraine, the U.S., and Russia. Originally appeared in Ukrainian on Radio Svodoba.